Is it OK to Exercise if You’re Sore? 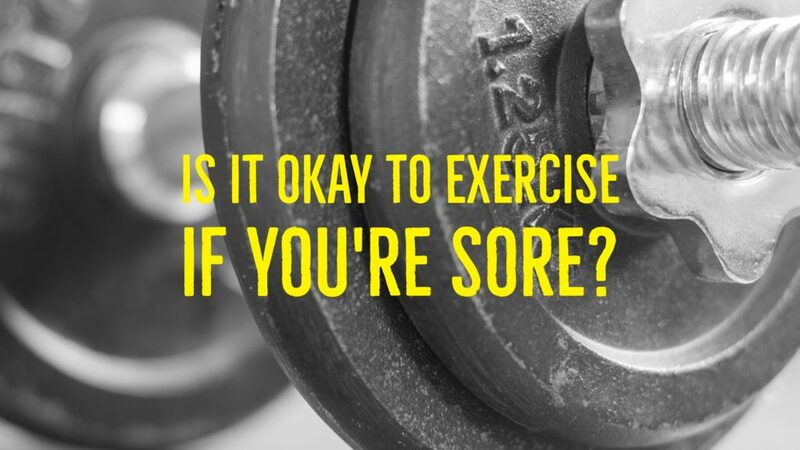 Is it OK to exercise if you’re already sore? These muscles need rest and recovery time to rebuild before you stress them again. Yes, you CAN exercise, but: do something different than what gave you the soreness in the first place. For example, if you did a bunch of pushups one day, don’t do them the next. Instead, switch to another body part to exercise and work on squats or pull ups instead. Likewise, if your legs are sore, give them time to recover and work on exercises that train your upper body instead. What do you do to recover when you’re sore?